What must I do when I dial 1-1-0? 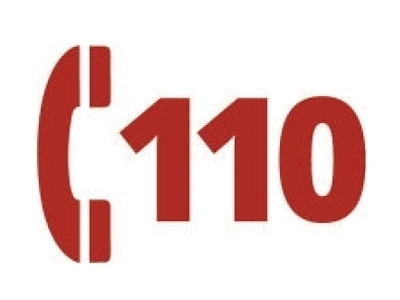 1-1-0 is the phone number to be dialled in an emergency of fire and rescue. When you have dialled 1-1-0, tell the operator of the Fire Call Centre about the full address of the involved place (district, neighbourhood, street, door no of the involved house/workplace/building, etc. or the scene of the road accident and the contact phone number), the type of fire if you see clearly, the storey number of the burning building, whether a person/people was/were trapped in the involved place and whether there is an injured person in that place. What should I do when I have seen a fire engine with its beacon lights on and its siren sounding? A fire engine with its beacon lights on and its siren sounding is a responder which is going to respond to fire and rescue incidents. According to the Traffic Regulations, when you see a fire engine or engines going to respond to fire & rescue incidents, you have to give priority to it/them by changing lanes or even stopping while it is /they are passing by. You must not penetrate into the convoy of fire engines, not occupy the hard shoulder and not park on streets or roads at random. What should be done for disabled people against fire risks? First of all, a fire evacuation plan must be perfectly made for emergency risks. Visual and audible signals and alarms should be mounted in proper places. Means of egress ought to be always kept clear of obstacles. Also evacuation drills have to be carried out regularly. Making a fire evacuation plan is necessary for all people. 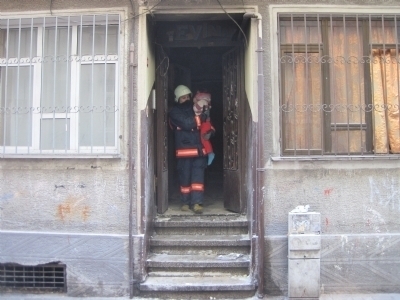 In case of a fire, it is essential to evacuate your building without losing time. Conducting fire evacuation drills regularly makes us ready for real evacuations. How can I get the fire report or a copy of the report of my burned home / workplace? You can get a copy of the fire report from the fire station whose crew(s) first responded to the incident. Are we billed for fire & rescue services? 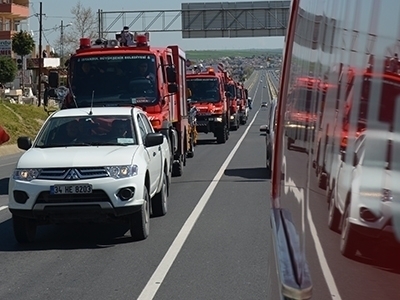 Receiving fire & rescue services from Istanbul Fire Department in incidents of fire, traffic accident, flood, collapse,etc. is free of charge. 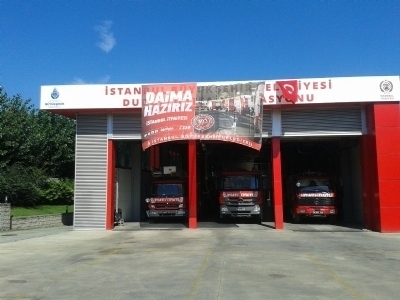 However fire safety courses from public & private sector, rent-a-fire engine service and water evacuation due to no heavy rain are charged according to the tariff fixed by the Istanbul Metropolitan Municipality.